Imagine an integrated TV operating system for advertising; that’s what VideoAmp does. They’re a software and data solutions company powering the convergence of the linear TV and digital video marketing ecosystems. VideoAmp helps marketers and content owners holistically plan, transact and measure de-duplicated audiences across digital video, OTT, connected and linear TV advertising. Its data solutions connect linear TV viewership with addressable data assets to benefit clients in the marketing and media industries. 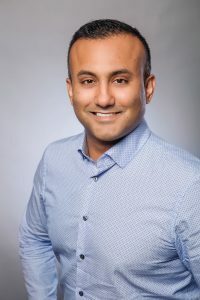 In this installment of our ongoing Video Centers of Excellence series, we speak with VideoAmp Chief Strategy Officer Jay Prasad about how VideoAmp incorporates best standards and practices into its software solutions, and how clients should optimize their video content in a cross-channel digital landscape. Jay heads up VideoAmp’s corporate strategy development and the partnership and marketing teams which were instrumental in developing new products and agreements with Mediaocean, Comscore and FreeWheel. Before joining VideoAmp, he served as VP of Global Business Development at TubeMogul where he led the company’s launch of Programmatic TV, data and supply partnerships, and international partnership teams in the U.S., EU, Japan and Southeast Asia. Previously, Jay led strategic development at FreeWheel, focused on broadcasters’ distribution to digital and OTT platforms. Every publisher seems to be pivoting toward video; how do the best distinguish themselves? The day of every publisher becoming a video producer has passed. There was an explosion of venture dollars and players who leveraged social distribution to gain their audience. That model is now challenged for profitability. Look at how Facebook has changed their newsfeed algorithm, affecting the audiences they reach. For those that can make it through this weeding-out phase, they have to have a definitive voice in their content. The fourth or fifth publisher to put out retreads of the same story won’t work. A publisher needs to have clearly differentiated content as their product. They need to have production capabilities and a way to create their own voice around a particular topic. Take a publisher like Cheddar TV. They are live every day, distribute through social media and generate business news for a younger generation. That is more unique than the traditional linear model of creating and delivering financial and business news. What are the challenges publishers face with the creation, distribution, and monetization of video content? From a creation standpoint, you have to ask yourself: do I have a budget to create good video, or am I just interested in getting video out on the cheap? Do I have a video strategy that will attract an audience? Distribution opportunities are plentiful, but they are not always easy partnerships to crack. Monetization is also widely available via programmatic pipes, but a publisher needs to have meaningful traffic on their owned and operated properties. For your own monetization, can you employ a direct salesforce to pitch more brand integration with video? Is doing that more valuable than pre-roll? Or do you go programmatic and focus on scale and efficiency in how you monetize? If you don’t have a lot of traffic on owned and operated properties, you have to go through other ecosystems and become proficient at social media management of content for distribution and monetization. It becomes a layered approach. You have to consider all the elements of video content, because distribution and monetization are very much connected. How do your customers justify the effectiveness of their video efforts? Better monetization over time, more eyeballs, and more time spent overall are good KPIs. For publishers specifically, growing yield, monetization, and building brand loyalty are what they must measure to justify the investments. Generally speaking, our customers want to see an increased engagement with viewers. That is the most important element of video, when you boil it down to its essence. Engagement creates more interest from advertisers and more ad programs executed, which leads to better performance and a higher yield over time. What are some unique ways you see your clients deploying / utilizing VideoAmp? We help clients bring together traditional TV and digital video through data. The applications we build help advertisers do cross-channel research, planning, and measurement. Now we can deliver a TV and video budget that is united, as opposed to a social media spend here, a linear TV spend here, a mobile video spend here, etc. The trend we are seeing is toward cross-screen audience capabilities that link linear TV to all digital video and OTT. It’s a much more effective way to reach people. Our clients realize that consumers don’t want to see the same ad thirty times in the same place. Now clients want to vary the creative and deliver it across platforms. Have you seen any customers establish best practices, subject matter experts, or standards and practices around video? Embedding expertise in the area you are trying to become successful in is the name of the game. Each client has a video strategy and works to ensure their processes are hitting those strategic goals. Some want to use video for better storytelling and creative executions. Some want to use data to get much more precise in their abilities to target on TV and video. Some want to measure more holistically. It starts with the central question of how to do storytelling and knowing the platforms you are going to use to tell those stories. It doesn’t matter if you are a brand, a publisher or an agency. As we have seen, now even brands want to create their own content and get distribution through the same mechanisms as publishers. What standards and practices has VideoAmp established for video? In terms of best practices, we focus on campaign execution and how to deliver and drive key ad KPIs. We build them into our software for advertisers who have a campaign, a goal to reach and a particular audience in mind. Our platforms automate best practices so they are not just passed from person to person, but actually are embedded in the software itself. I have a long-standing passion for music, both playing music and attending concerts. When I was younger, I DJ’d around the world. Thanks for your time, Jay. Keep following along for more interviews in the coming weeks!